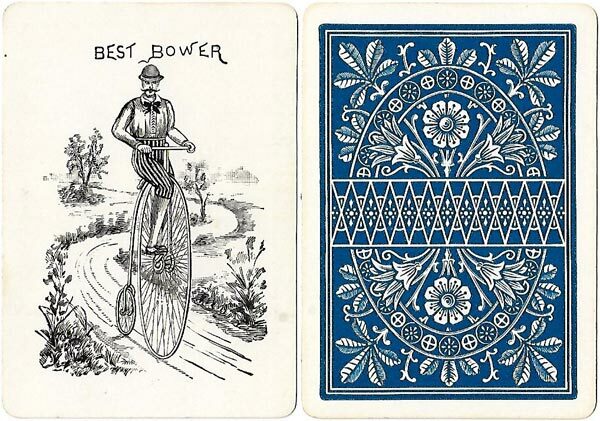 Above: first edition of Bicycle playing cards, including a “Best Bower”, printed by Russell & Morgan Printing Co., Cincinnati, 1885. 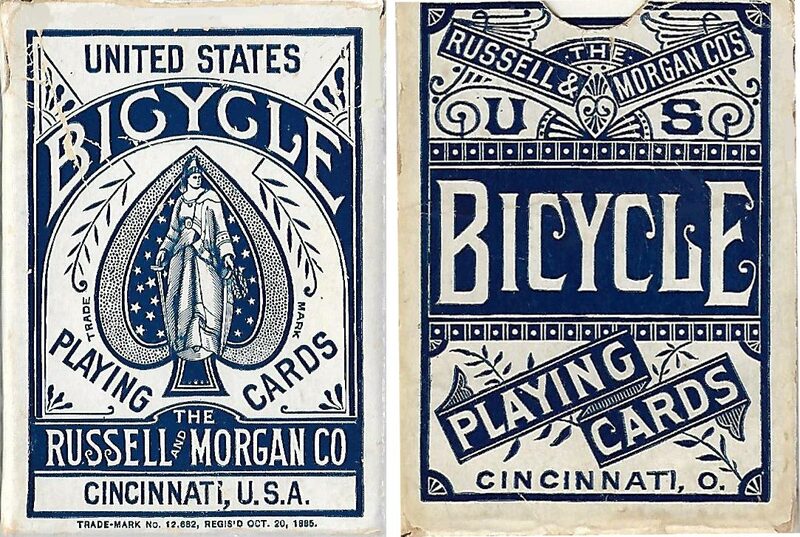 You will notice that the box reads Russell & Morgan Co. even though the Ace of Spades reads Russell & Morgan Printing Co. From the collection of Rod Starling. NOTE on the “Best Bower”: The game of Euchre is played with a 32 card deck running from 7 through Ace. 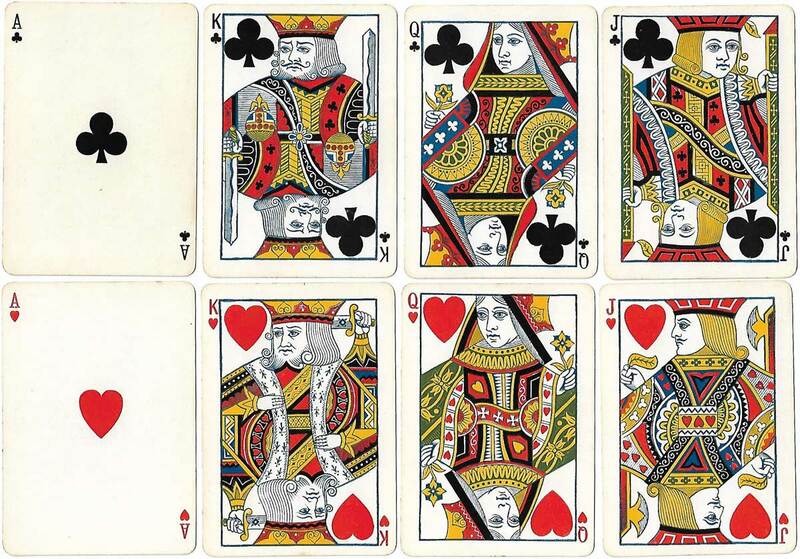 A trump suit is involved in each hand and in the suit that is trump, the ranking is: Jack of Trump, (highest card), Jack of the other suit of the same color next highest card, followed by Ace, King, Queen, 10, 9, 8 and 7. The Jack of trumps is called the ”Right Bower’ and the Jack in the suit of the same color is called the “Left Bower”. In one version of the game, a Joker is added to the deck and is the highest trump card, ranking ahead of the “Right Bower”. From older decks, not a Joker but a “Best Bower” was included and held the highest rank. In a related German game, the Jacks are called “Bauers” so it would seem apparent as to where the word “Bower” came from. 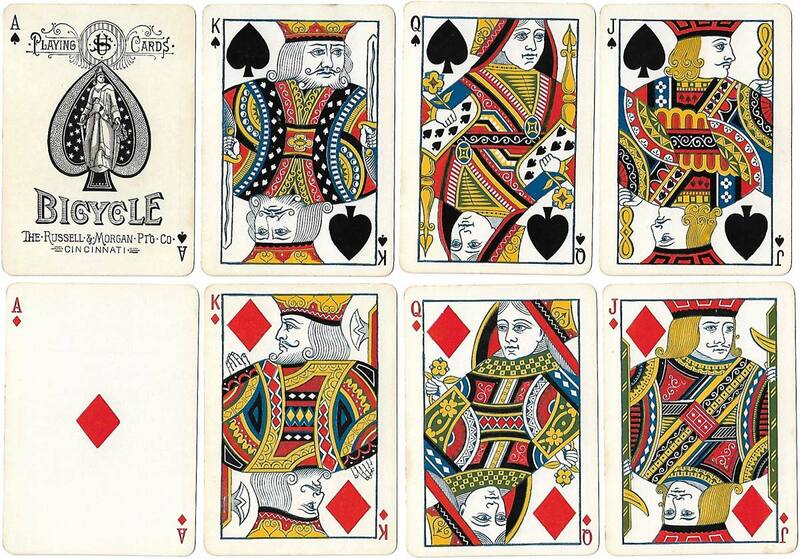 The word “Joker” was a corruption of the word “Eucher”, the game that in some versions requires an extra card, that extra card now having devolved from a Euchre card to a Joker card.